She was, and is still, the very best. It's a sentimental look at childhood, the passage of time, and how none of us can escape growing up. My favorite has to be "The Circle Game", which brings tears to my eyes every time I hear it. 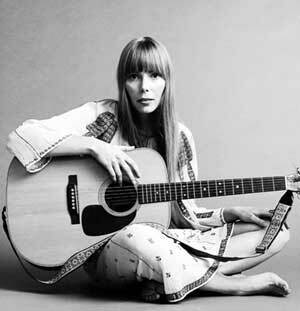 One of the Best Female Folk Singers of our time, Big Yellow Taxi is a great song and brings back so many great memories from that time in my life.